Weekly Weigh In, Natural Disaster Edition ~ Rachel | Losing It! This is turning out to be quite the week. On Tuesday afternoon, I was in my office on the 6th floor of a rather tall office building. I was sitting at my desk when the rolling began. Because earthquakes of much magnitude do not happen in the middle of North Carolina, my mind didn’t connect the dots. I first looked out my window…I dunno….expecting to see wind. I then realized that was ridiculous. I then thought it was related to construction in the area. I then realized that was ridiculous too. 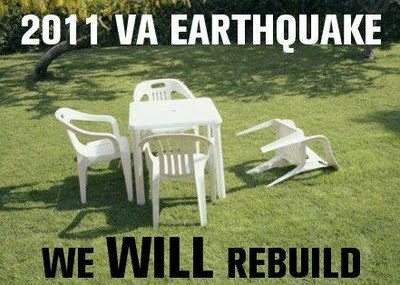 Once the rolling/waving stopped, I (and everyone else) came out of their offices asking “Was that an earthquake?” Of course, we now know it was a 5.8 quake in VA that sent the waves our way. This was my first earthquake and boy was it bizarre. I think had I been at ground level, I might not have noticed. But when you’re 6 floors up and the building is rolling and making noise, it’s a bit disconcerting. But kind of cool at the same. Have I told y’all I”m a total weather geek? At one point in my life, I wanted to be a meteorologist. And Nancy Drew, but that’s probably another blog post. So that was Tuesday. Detox is coming along but I’ve become very disillusioned with it. The only “improvement” I’ve felt is that my sleep has been a little better. That’s it. My stomach is just as pissed off and weird as it was before I knocked everything out of my diet. It’s even a little weirder because it’s unpredictable. My pain and inflammation is still there…though perhaps to a slightly lesser degree. Not anything to write home about for sure. I happened upon an anti-inflammatory diet that is very similar to Doc’s but does not allow the nightshade family (tomatoes, potatoes, peppers and eggplant)…the nightshades are known to be a little inflammatory but they are also known to be packed full of awesome stuff (e.g., lycopene). I’ve been consuming a fair amount of these things, especially tomatoes. The diet also excluded eggs…which I eat every day (and pretty quickly afterwards have digestive issues). The diet also excluded goat cheese, bananas, strawberries, oranges, grapes and grapefruit. Not sure why they are excluded but I’ve been eating goat cheese and bananas. And when they were in season, I ate a ton of strawberries. The diet was also a bit more stringent on the types of fish you could have. So needless to say, I’m confused and disillusioned. I was expecting a transformation of some sort and I’m not seeing it. My detox is over on Sunday. I don’t think I will be extending it. After the wedding I might try it again, with the more stringent rules, and see how it goes. Or maybe I just need to exclude eggs for awhile and see what happens? It’s weird…if I fry or scramble eggs, I have digestive issues. If I eat them hard boiled, I don’t have as many issues. And I certainly don’t have issues with things that contain eggs. Anyone ever encounter this? I’m eating local/farm-raised/ vegetarian-fed/free-range/roaming eggs and it doesn’t seem to matter. 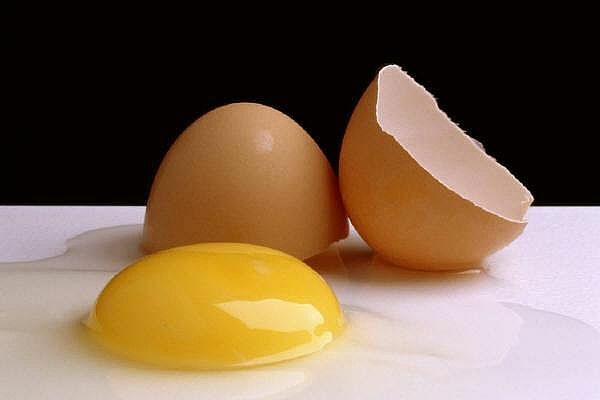 It’s so weird…I’m gonna be so sad if I can’t eat eggs. I weighed in this morning and was down 0.6lbs. I should be thankful I’m going in the right direction, but my weight loss needs to be kicked up a notch. I know getting to the gym should help. Tracking everything will too. I just have to be careful to not go crazy when my detox is over and eat everything in sight that I’ve been deprived of. I’m not sure what my first non-detox food will be but I do know that we are going to Big Ed’s (Country/Southern cooking at its finest) next Saturday for breakfast and I fully intend on getting a pancake (they are the size of your head, crispy around the outside and fluffy in the middle…and I can never eat the entire pancake). So it’s almost Friday and I’ve experienced my first earthquake and am down on the scale. 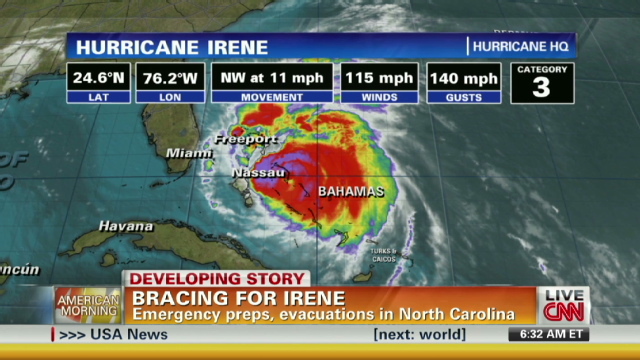 Now we wait for Irene. I’m disappointed for you that the detox has not answered your problems, nor given you the weight-loss amounts you were hoping for. Kudos for sticking with it. No idea on the eggs, but heck, why not eliminate them altogether and see if you feel better? Your earthquake must have been scary, in a building that high! I’ve experienced a ton of them, growing up in California, but was never higher than a two-story house. It has been a crazy week for you, hasn’t it?! Hooray for -.6! It’s a loss, and that’s what matters. Hang in there this weekend – be safe! Brooke: Not on a Diet!